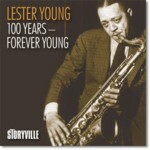 I have liked the Lester Young small group recordings that I have heard. 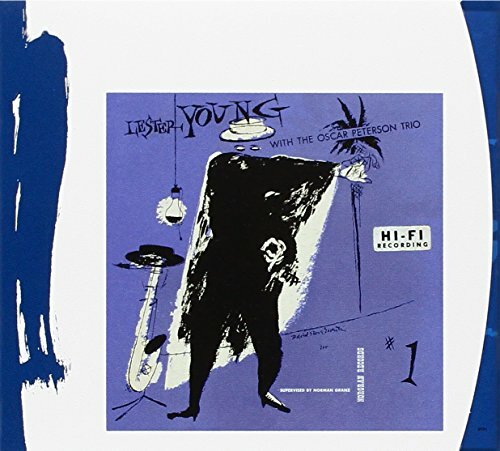 My introduction came with the four-LP Pablo series, Lester Young in Washington DC, 1956. These recordings were made toward the end of Young's life and contain some of his most ethereal playing. I suppose I am also a child of the 1970s and prefer high fidelity to high history. These small group recordings have a better sonic quality than Young's Columbia recordings with Count Basie in the 30s. 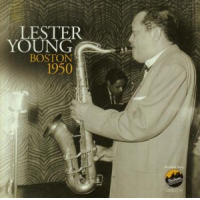 At any rate, the release of all of Lester Young's recordings with the Oscar Peterson Trio on compact disc interested me. 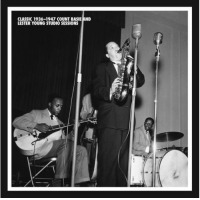 This reissue is made up of performances recorded November 28, 1952 and released on four separate releases: Lester Young With the Oscar Peterson Trio Volumes 1 and 2, The President, and The President Plays with the Oscar Peterson Trio (compact disc, providing only "It Takes Two to Tango"). There is one unissued track, the throw-off 52 second false start of "I Can't Get Started". All of Young's performances are transplanted from a different era. These recordings were made a mere three years before Charlie Parker's death. The harmonic advances of Be-bop had already been introduced and assimilated into the Jazz vernacular by this time. Yet Young, while adopting (or pioneering') some Bebop practices, remains a melodic, horizontal performer, in sharp contrast to the harmonic, vertical performers of classic Be-bop. To my baby-boomer ears, Young's performances do not sound so much old > fashioned as they do archival. Like his personality, Young's playing is wispy, understated, and very, very clever. Listening to Lester Young, I react the same way as I do when I listen to Dave McKenna or Ralph Sutton. I honor these men for their place in the evolution of Jazz. But their immediacy is more of a Louis Armstrong / Joe Oliver variety than of a Charlie Parker / Dizzy Gillespie variety. The Oscar Peterson Trio provides a hand in glove accompaniment for Young on these recordings. Oscar Peterson, who is very much in the mold of Art Tatum (a true contemporary of Young), is very comfortable with Young's variety of playing. The Trio is made up of Peterson, Ray Brown (bass), Barney Kessel (guitar), and J.C. Heard (drums). The songs included in this collection are part of the standard Young repertoire. "Tea for Two", "On the Sunny Side of the Street", and "Stardust" are all performed with the characteristic grace associated with Young. The real fun on this record is the mildly pornographic"(It Takes) Two to Tango" where Young performs both as vocalist and soloist. The rhythm section supports Young superbly. The recordings are quite acceptable; my only quibble would be the bass and piano are muddied in the remastering. As for Young's tenor, it is so exquisite the listener can hear his breath expel as he plays a particularly breathy part. I recommend this record for small combo enthusiasts who want to hear a singular personality that precedes the ubiquitous Be-bop and Hard Bop of the past thirty years. Track Listing: Ad Lib Blues; I Can't Get Started; Just You, Just Me; Almost Like Being in Love; Tea for Two; There Will Never Be Another You; (Back Home Again in) Indiana; On the Sunny Side of the Street; Star Dust; I?m Confessin';; I Can't Give You Anything But Love; These Foolish Things; (It Takes) Two to Tango; I Can't Get Started (False Start). 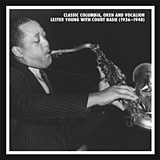 Personnel: Lester Young: tenor saxophone, vocals; Oscar Peterson: piano; Barney Kessel: guitar; Ray Brown: bass; J.C. Heard: drums.